Plug in Electric Vehicle (PEV) are an integral part of a smart grid. The use of PEV would cause a frequent change in loading connected to the grid. The work presents a smart grid scenario with renewable sources and PEV’s. Here, Automatic Generation Control (AGC) is implemented to maintain the system stability through frequency control. A Proportional Integral Derivative controller with a filter (nPID) is tuned by Intelligent Water Drops (IWD) algorithm to assist the operation of AGC. The two area system studied comprises of thermal, hydro and wind sources in either area along with PEV. Testing of the system is done using two different cases, so that the performance can be analyzed. A step load variation of 10% in either area (Case-I) and a dynamic loading of ±5% in either area for a duration of 80 s is induced for the purpose of system analysis. 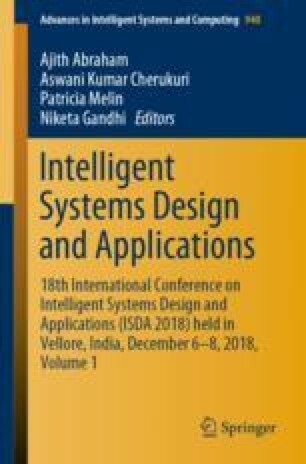 The analysis of performance without any controller with that of various controller schemes such as PI, PID, nPID are done to validate the efficiency of the proposed system. Also, a significant improvement in the response time of the system is observed due to the efficient tuning of the controller for maintaining system stability. Power system gain: H1 = 5, D1 = 0.6, H2 = 4, D2 = 0.9; Droop characteristics: R1 = 0.05, R2 = 0.0625; Feedback gain: B1 = 29.6, B2 = 16.9; Tie line gain: a12 = −1, T12 = 0.545. PEV: Droop coefficient: RAG = 2.4; EV gain: KEVi = 1; Time constant: TEVi = 1; Number of electric vehicles: NEVi = 2000.